“I spent my life playing in clubs. In my last years, night by night, I began to explore. 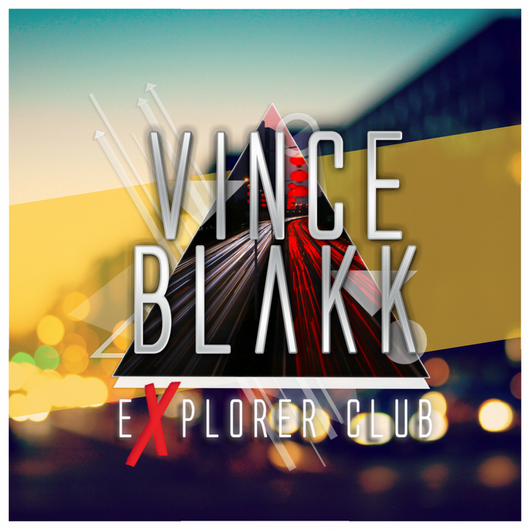 Vince Blakk is an indipendent Club Dj & Uplifting Trance producer based in San Josè, Costa Rica, Vince had a passion for electronic music from a young age. Growing up in the 80s, he was part of the first generation to be introduced to computer technology (such as the Commodore 64… uuhh!). This inspired him to create his own electronic sound and craft something completely new. With a soft spot for artists that combined genres, such as those in electronic with pop/rock, (Mike Oldfield, The Rockets, Kraftwerk) Vince began to study music and learn guitar at the age of 12. He grew up playing guitar for a variety of rock bands and studying music until he graduated as a sound engineer with skills specialising in electric guitar. From there, Vince went on to study and work across the world from Italy to England and Holland to Germany until he found his calling in 2006 and began to DJ. Influenced by the likes of Makus Schulz, Mauro Picotto and Paul Van Dyk, Vince built up a wealth of experience of performing on radio stations and online as well as to growing audiences at live shows. In 2012, he relocated to Costa Rica where he remains to live and work today. There, he performs as a Club DJ, thrilling events around 200 nights a year and taking on the biggest clubs in the city such as Vertigo, 8ctavo Rooftop, Hoxton, Morazàn, Stereo Luv, Mango Sunset and more. Spinning everything from trance to house and techno, he has been a full time DJ since 2014 and recently became a Denon Dj Endorser (Hp-1100 Headphones) and Serato DJ beta tester/full supporter. From nov. 2016 Vince is the owner/founder of monthly radio show Explorer Club (#eClub). Finally in march 2017, Vince made his official debut, like producer, on Rice Bowl Recordings with “Proxima Centauri”. In june 2017 after the good responses and new international visibility obtained, Vince come back on the scene with a fresh new 4 tracks Ep: “Spaceship One” (Rice Bowl Recordings). An Ep that contains one of his best tunes ever: “Antares”. A song that confirms, one more time, the journey started with the debut, made by purely uplifting sounds and catchy melodies. By the way, the best is yet to come!